Bad logos and poor rebranding efforts exist everywhere you look—for both national and local brands. But rather than focusing on these branding flops, let’s take some time to appreciate the brands that have successfully and tastefully evolved their brand to still stand the test of time. To be honest, there really are so many great logos out there—it would be impossible for me to list all of my favorites in one blog post. Let's take a peek at just a few of my favorites, from brands which everyone should (hopefully) be familiar. 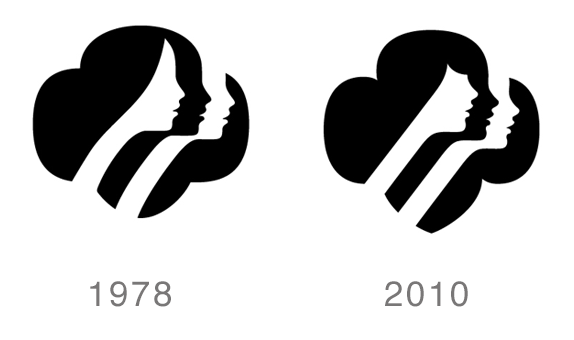 A beautiful execution of molding two symbols, the Girl Scouts original trefoil (four leaf clover pin), designed by Saul Bass, depicts the silhouettes of a group of girls. This brand mark is simple enough to be recognizable at small sizes or long distances, yet complex enough to be forever memorable. 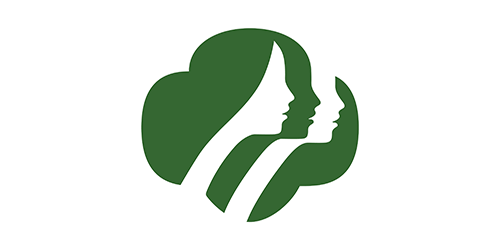 The Girl Scouts logo definitely serves as one of the best non-profit marks that I've ever seen. The original logo was tastefully revamped by design firm Original Champions of Design (shown below) in 2010. They were wise enough to know it would be foolish to navigate away from Saul Bass’s original concept. As you can see, Original Champions of Design made only subtle changes to the trefoil in their redesign, like reshaping the girls' noses, adjustments to spacing, and adding a pointed tip to the bottom of the trefoil. These subtle changes gave the logo a timely refresh while still maintaining the integrity of Saul Bass's original design—a tough balance to achieve that was met, in this case. As a graphic designer, I love my MacBook (Apple also has a timeless logo), but when it comes to business computing branding, one cannot look past IBM and Paul Rand. Like many companies, IBM shortened their name from “International Business Machines” to just “IBM” in 1947. Less than 10 years later, a new logo emerged. In the same way, the logo—which started out as a 13-bar version—was simplified by Rand to the 8-bar version we know so well today. While Apple has a mark that says beauty and wit, IBM has a letterform that says speed and efficiency—and hopefully always will. 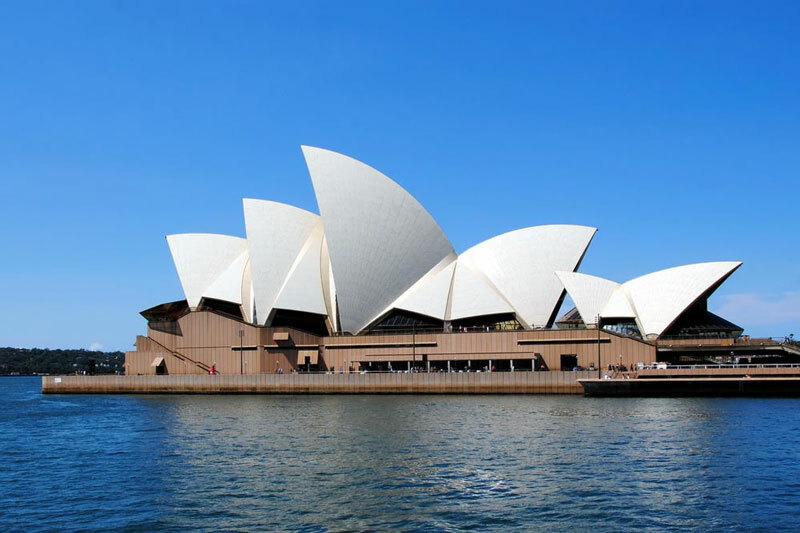 The Sydney Opera House, designed by Danish architect Jørn Utzon, is one of the most iconic buildings in the world. 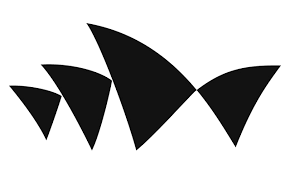 The Opera House's one-of-a-kind façade inspired the logo mark designed by Interbrand's Sydney branch, in collaboration with Collider for the motion work and Studio Laurenz Brunner (who also designed the fonts Akkurat and Circular) for the typography. This was obviously a collaborative project from the architecture's form done in 1973 to the assets and concept created in 2016. The 2016 design team process that helped form the animation assets was amazing, plus the application of brand-to-material was well done on so many levels. The building's curves, which provide amazing acoustics, are also beautiful aesthetics to the brand. The building's curves are subtly applied to each piece from 2016 and are a great conceptual foundation for SOH to build upon for years to come. No matter how quickly you may need (or want) your brand mark to be finalized, it's always worthwhile to take the time to thoughtfully design a logo that will remain relevant and timeless. Check out this step-by-step process to see what this looks like. In need of a timeless logo for your brand? Contact TIS to get started!